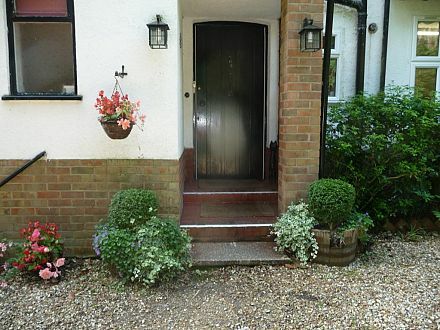 Tinkers Furze is situated in a quiet conservation area in Fleet, close to town centre and all amenities. It is a non-smoking household (smoking is permitted on the patio). 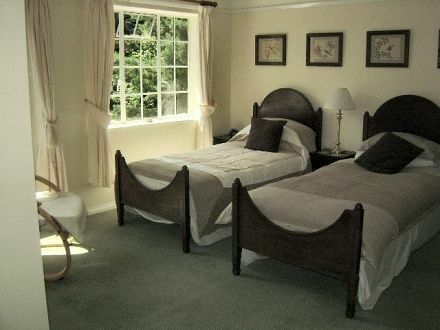 Rates start from Â£30 per person (two peole sharing a double or twin room). The bedrooms (four with en suites and one with private bathroom) are spacious, two with access onto balcony and views over the garden. All rooms have TVs, tea/coffee making facilities, and hairdryers. 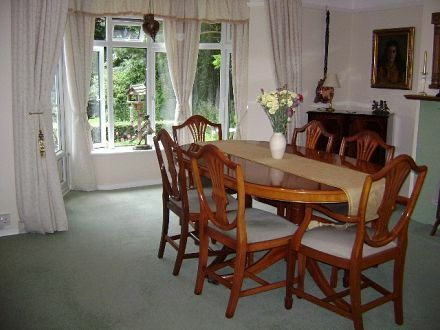 There is a large dining room where guests can eat their own takeaway meals, wireless broadband access is also available in bedrooms.Â It has a large well-maintained garden which visitors are welcome to enjoy. No pets please. French and German spoken. Credit/debit cards are accepted, payments by BACS.Â Cheque or cash. We are PCI compliant and have been awardedaÂ 5 star (excellent) Food Hygiene rating.